Delivering the ride of a lifetime, Discovery’s popular original Canadian series MIGHTY PLANES returns for Season 4, airing Sundays at 7 p.m. ET/4 p.m. Viewers are welcome aboard unique aircraft in the six-part season, flying through tumultuous conditions, executing life-saving jobs, and boasting the most environmentally friendly engineering. Pilots, engineers, avionics specialists, load masters, and ground operators share their stories through spectacular HD footage. Across the skies in Hong Kong, AirBridgeCargo’s Boeing 747-8F is clearly the right plane for the job as it prepares for a massive operation: transporting all of Formula E’s cars, highly sensitive and potentially explosive lithium-ion batteries, tires, hospitality structures, and drivers’ race gear to England in preparation for their second race of the Formula E race season. The aircraft, also known as the “Queen of the Skies”, is the most efficient and eco-friendly large cargo aircraft around, and will transport the gear of Formula E’s 10 electric powered racing teams to 10 cities in the greenest way imaginable. MIGHTY PLANES introduces viewers to the Stargazer L-1011 on its latest quest to launch the Pegasus rocket, delivering eight specialized weather satellites designed to detect and predict the magnitude and intensity of hurricanes and tropical storms. The vital weather forecasting data from these mini technological satellites has the potential to save many lives in areas around the world severely affected by severe weather. The C-2A Greyhound’s sturdy design allows flexibility and access that few fixed-wing craft possess. The beloved underdog of the U.S. Navy fleet provides critical logistics support, flying more than 1,600 kilometres out to ships at sea in a matter of hours with high-priority cargo including critical aircraft parts, VIP passengers, and even the mail…an important lifeline for Navy soldiers during a long deployment. The Greyhound’s remarkable folding wings allow it to be stashed compactly when on deck, and its onboard auxiliary power unit makes the plane versatile like no other cargo aircraft. 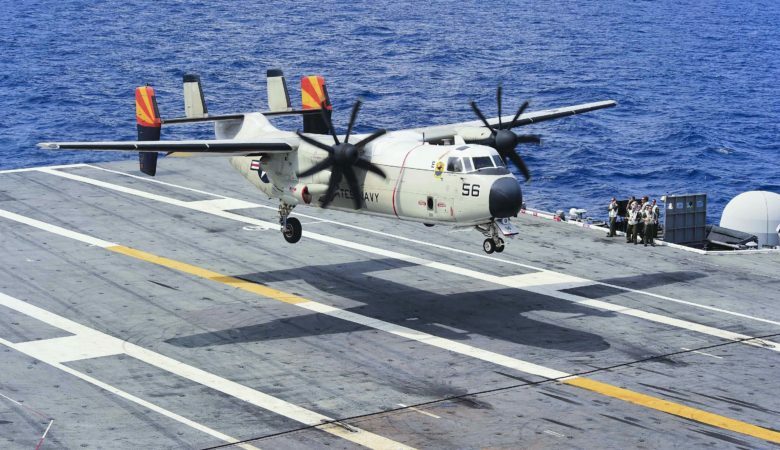 The adrenaline rush that comes from carefully positioning this huge aircraft on a tiny runway in the middle of the ocean is not for the faint of heart. In this episode of MIGHTY PLANES, four new Greyhound pilots show off the bravery, flying precision, and practice, practice, practice it takes to land like a fly on the head of a pin.